. ​Please select your session below then click on the 'QUANTITY' drop down box to select the number of people you would like to book for. Table Requests can be made by selecting the booking time allocated to your preferred area on the following page. Unfortunately, we cannot take any more detailed requests at this time. Please note your reservation duration (two hours) as we will require your table back for following sittings. Please do not create a new booking for table increases. 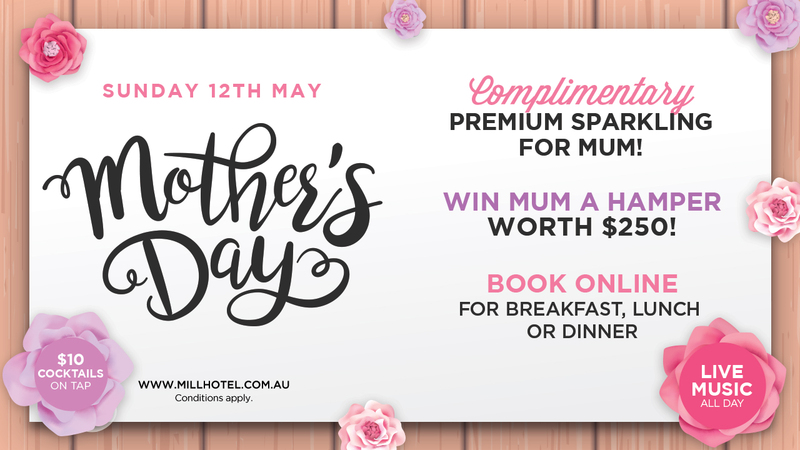 If you would like to make changes to your booking please reply to your confirmation email or contact info@millhotel.com.au. ​for this session we will not be able to increase your table. Your reservation duration is two hours as we will require your table back for following sittings. ​we will not be able to increase your table.